Does spending your marketing budget on social media efforts make sense? Do you need a presence on Facebook, Twitter, Instagram and Pinterest? Will your potential customers and clients find your business on social media? Regardless of what business you’re in or how large or small your operation is, your budget for marketing and advertising is limited. How you allocate funds is a crucial decision. Everyone recognizes now that using the internet to attract new customers and clients is the only strategy that works effectively, but internet and search engine marketing has become more and more complex. Looking forward, every business needs to choose the most productive way to promote its products and services online. Your business already has a website. Maybe it’s not generating the number of leads and sales you expected. Perhaps it’s not getting first-page rankings on Google. You’re hearing constant buzz about Facebook or Twitter marketing. You’re wondering if you should invest in Facebook and Twitter advertising campaigns. Or should you invest in search engine and conversion optimization? Before you make a choice, there are some tough questions you need to ask. Why Isn’t Your Website Generating Enough Leads and Sales? There could be a couple of reasons. The most likely cause is that Google doesn’t have enough understanding or trust in your website. That keeps your company from being found by those who look for your products and services. The second common cause for lagging leads and sales from business websites is poor design and weak content that doesn’t convert visitors. Here’s the truth: Websites that get top results page rankings through powerful SEO and user-oriented design and content generate plenty of new business for your competitors. Can Investing in Social Media Marketing Boost Sales and Leads? If you listen to people who are in the social marketing business, they’ll tell you that investing with them will pay off miraculously. That’s what they’re selling. What they’re not telling you is that these companies are closing their doors everywhere. The buzz about Facebook, YouTube, Twitter, Instagram and other venues has turned out to be just hype used to sell costly advertisements that fail to produce anything meaningful. The following questions and answers explain why. Why Do People Actually Visit Facebook or Twitter? The key word in this question is “social.” Every day, countless millions of people log on to their favorite social venues. Almost everyone checks Facebook, often several times a day. They want to see what their family and friends are up to. Millennials prefer other sites, like Instagram and Snapchat, but use those for the same reason. YouTube is full of entertaining and sometimes informative videos. It attracts a wide range of users. Pinterest, Twitter, LinkedIn and other sites are also busy. People want to stay in touch. What Do Social Media Users Think about Ads and Marketing Pitches? Frankly, they hate them almost universally. Both interrupt their social interactions. They’re on their favorite social site to talk about themselves or follow their favorite celebrities. They want to avoid working or be entertained. They’re not thinking about products and services to buy. They see ads and soliciting posts as spam or, even worse, trolling. A recent Time Magazine article detailed an increase in offensive posts on Facebook and Twitter. Some are threatening or offensive, but trolling also includes unwanted advertising. Do Potential Customers Search for Products and Services on Social Media? They almost never do. When people want to buy something or hire someone, they use Google, Bing and Yahoo. Why? Because they know that a simple keyword search will instantly find what they’re looking for, locally or nationally. They trust search engines to put the most relevant businesses at the top of search results or show them ads that match their search intent. Social media is not where consumers go when looking for products or services. Scientific SEO implementation means top Google rankings. What Do Social Media Users Do When They Click Through to a Website? Detailed analysis of website metrics clearly demonstrates that almost 100% of visitors referred to a website from Facebook or Twitter bounce off almost immediately. Facebook and Twitter marketing companies will never tell you that. Why the high bounce rate? Facebook, Instagram and YouTube users have very short attention spans. They click their browser’s Back button instantly if a website doesn’t give them the instant gratification they seek. They never get your message. What Types of Businesses Benefit from Social Media Marketing? The only businesses that profit from social marketing are those that deserve constant attention from consumers. Restaurants, entertainment businesses, trendy nightclubs and music venues are among the few that generate actual business from Facebook, Twitter or Instagram followers. If your company sells garage doors, prepares tax returns, waterproofs basements or builds decks, why would your customers follow your company after the service is done? If your business sells tangible products or performs valuable services, you need motivated potential customers who are looking specifically for you. Motivated consumers search for what they need on Google at the time they need it. Are Your Products and Services Relevant to the Goals of Social Media Users? That’s unlikely, especially if your business sells high-value items or services. If your target market is other businesses, there’s even less chance you’ll reach people on Facebook or Twitter. Serious potential customers look for such products and services only when they need or want them. They use Google, Yahoo and Bing to search. How highly your company’s website is ranked makes all the difference. Powerful SEO is how you get those rankings. There are no shortcuts or miraculous tricks that work. Should Your Business Be on Social Media at All? Probably it should. Pages on Facebook, Twitter, YouTube and LinkedIn can be valuable, but not for marketing purposes. They’re ideal for customer relations and keeping existing customers up to date on changes and new offerings. If you do have a presence on those websites, you’ll need to keep your page current, but should think carefully before opening it to public comment. Unless you monitor your online presence constantly, it can become a real problem, due to trolling and harmful comments. Your company’s website should be your primary marketing venue. If it’s well designed and ideally optimized for high search engine rankings, it will attract far more motivated visitors than you’ll ever get from some worthless Facebook posts or Tweets. If it’s loaded with relevant, compelling customer-oriented content, it will convert visitors into strong leads and sales more effectively than any other medium. Best of all, it will do that job with a far lower cost per lead than any other marketing method. Invest your budget wisely and you’ll achieve the high revenues you’re seeking. Marketing buzz and hype sell nothing. Promises from social media “experts” about “branding” and “social presence” won’t grow your profit. High traffic and great conversion rates on business websites have demonstrated their value for all business types. That’s what our team of web designers, SEO consultants and copywriters has proven, time and time again. Ask us for concrete examples of what we have achieved for our clients. Before you spend another dollar on useless social media marketing, contact us. 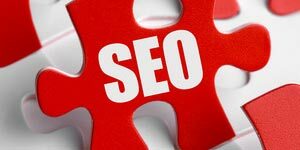 Let us an in-depth evaluation and propose a comprehensive search engine-based, customer-oriented SEO marketing plan. Our initial analysis and proposal costs you nothing. Our proven results are how we market our services.